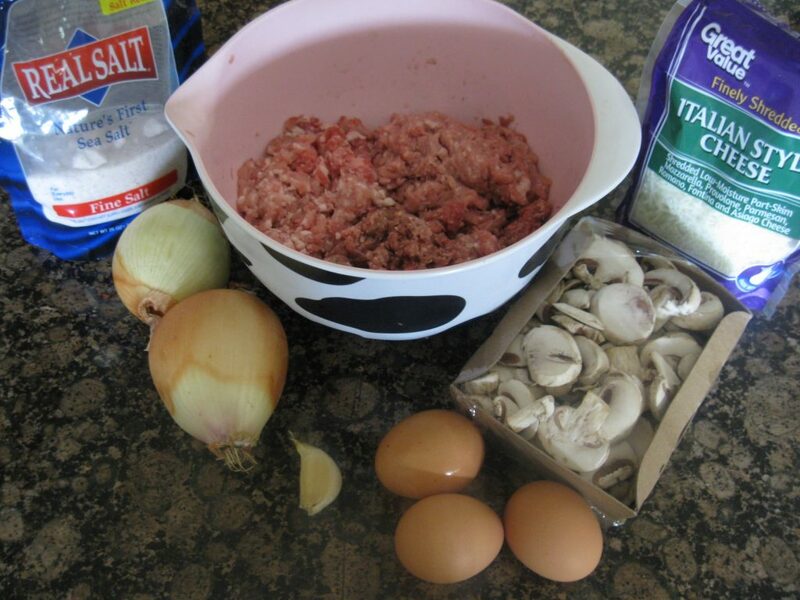 Great addition to your every day menu or your Holiday table. I prefer to use three different ground meets for this recire: beef, pork and poultry. 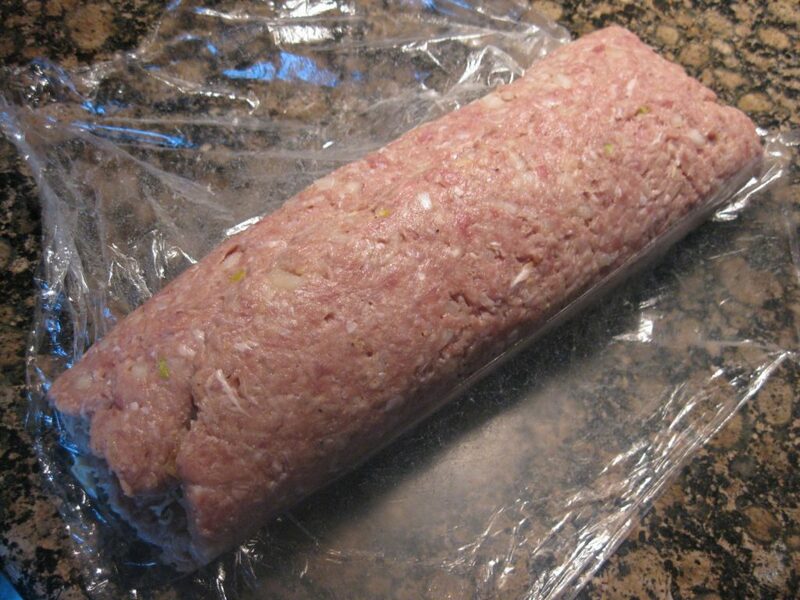 It gives that great taste to the meatloaf. Mix all three ground meets together. 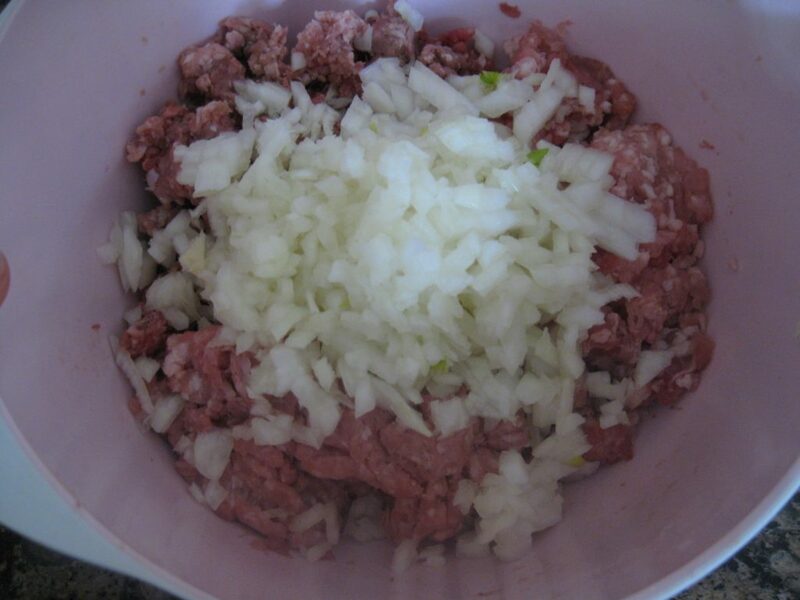 Add diced onion to the meet. 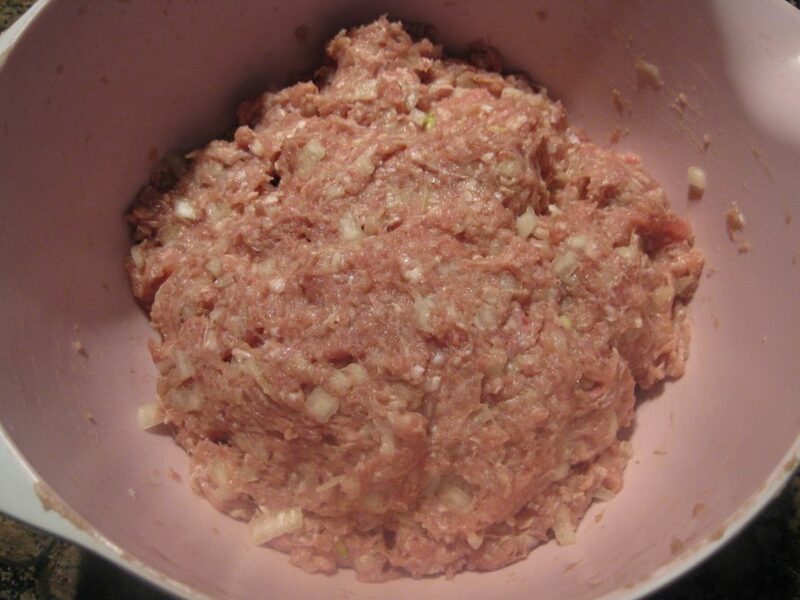 Add about 1 to 1.5 tea spoons of salt and pinch of ground pepper, mix well together and set aside. 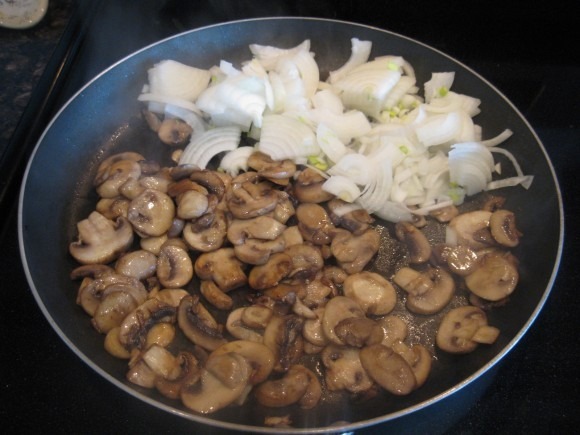 In a skillet cook mushrooms with 3 table spoons of oil until liquid vaporized. 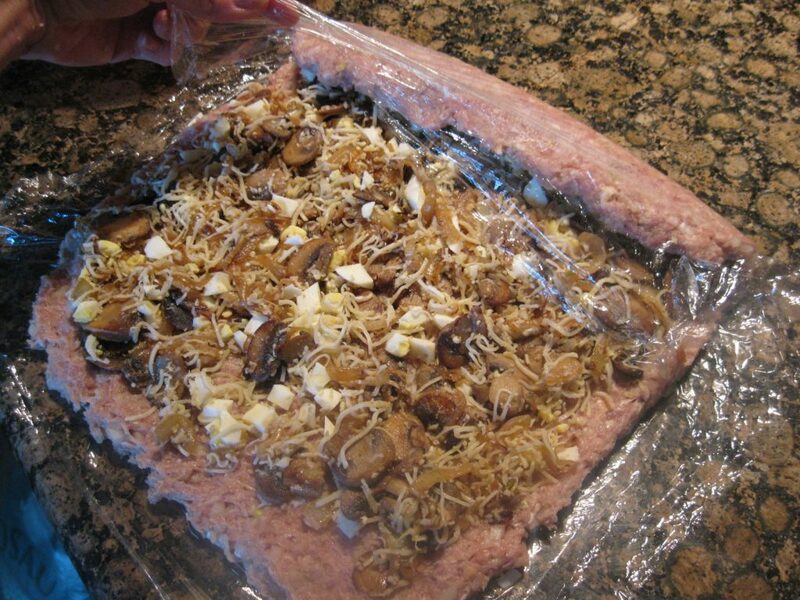 Add rest of onion sliced and cut in quarters, continue cooking until golden brown. 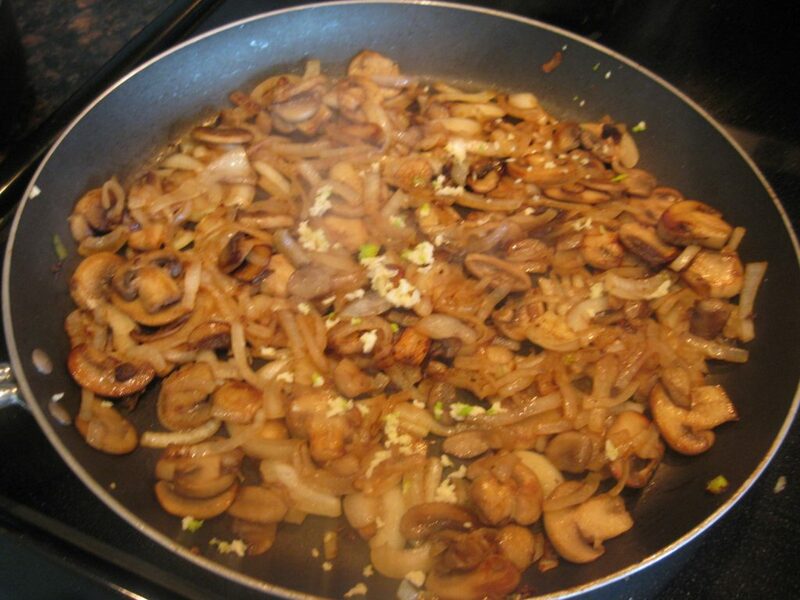 Add garlic, season with salt and pepper. 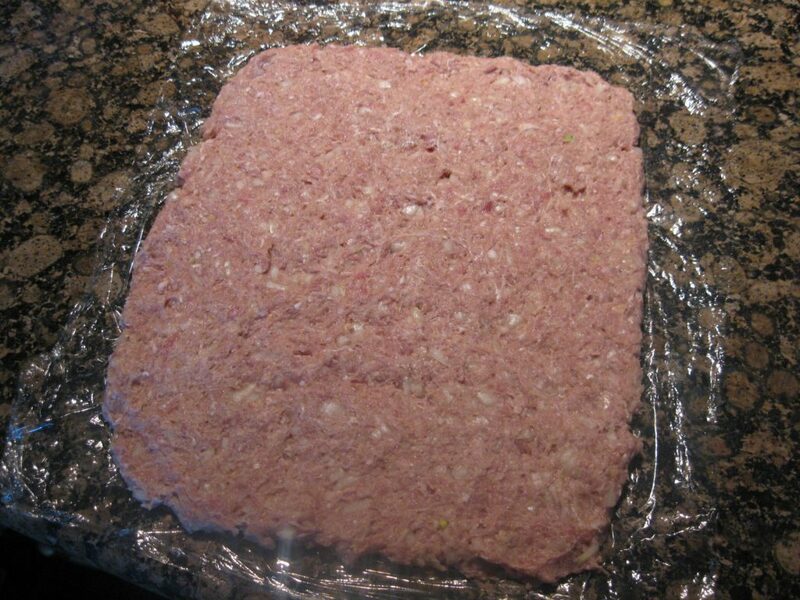 Cook for another few minutes and turn the heat off. 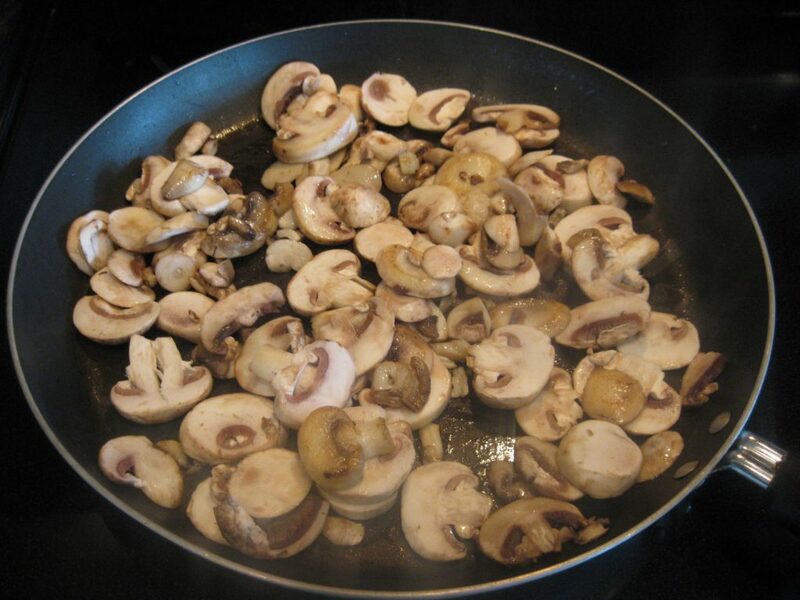 Transfer mushrooms into a bowl. 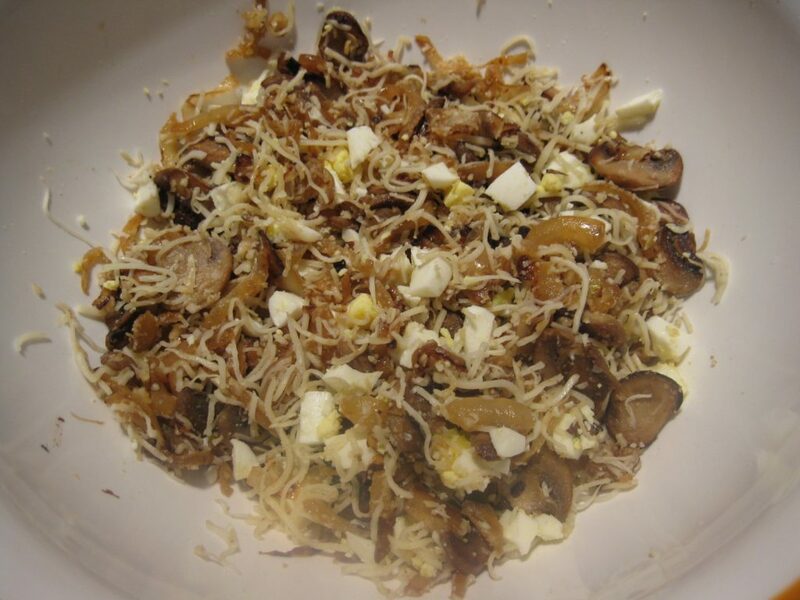 Combine with shredded cheese and diced eggs. 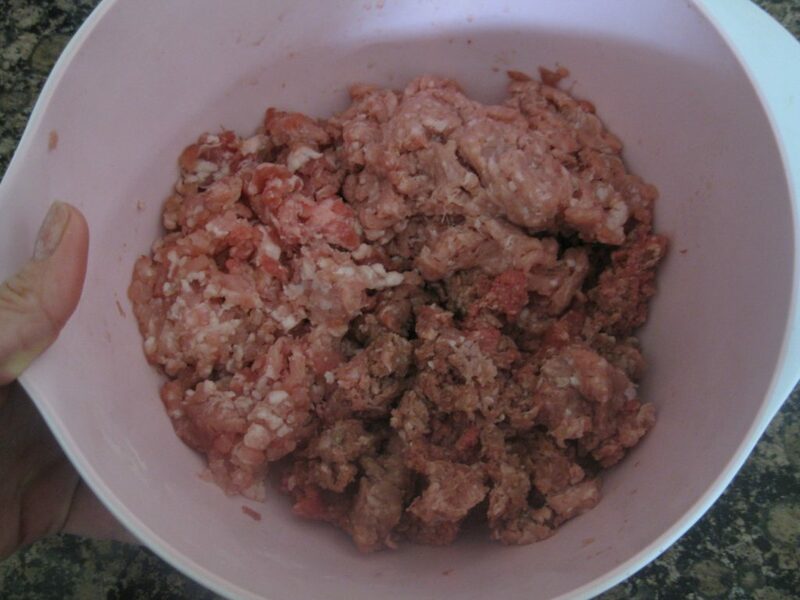 Put the meat mixture on a wrapping sheet or wax paper and form a rectangle. 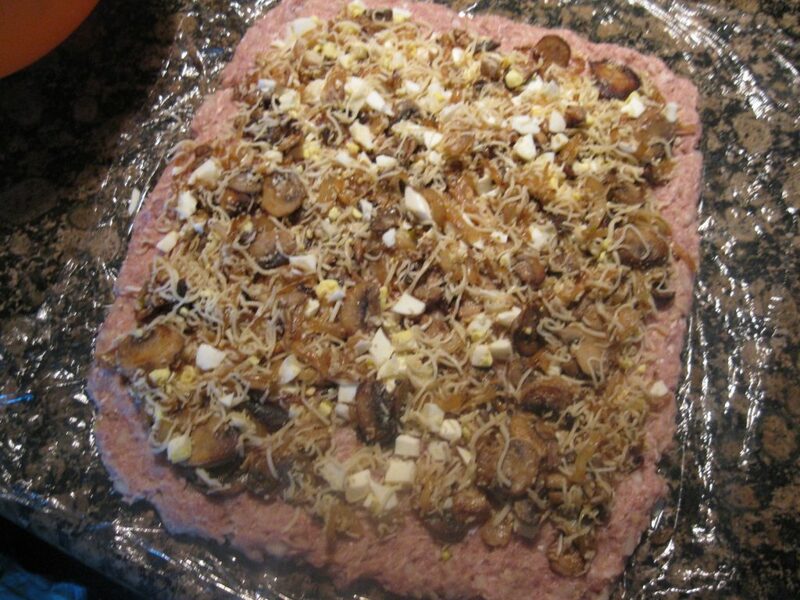 Spread the prepared mushroom filing over the meat. 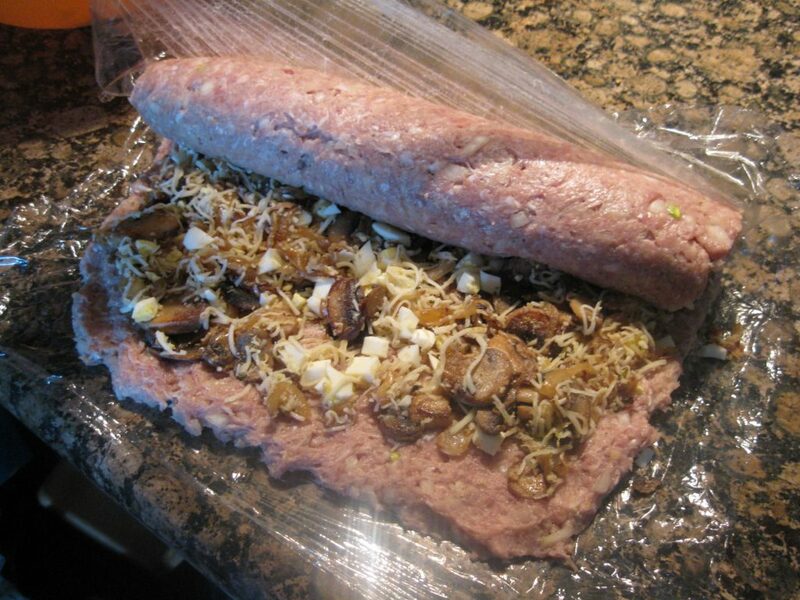 With the help of wrapping sheet carefully roll the meat with the filling up from one end to another. 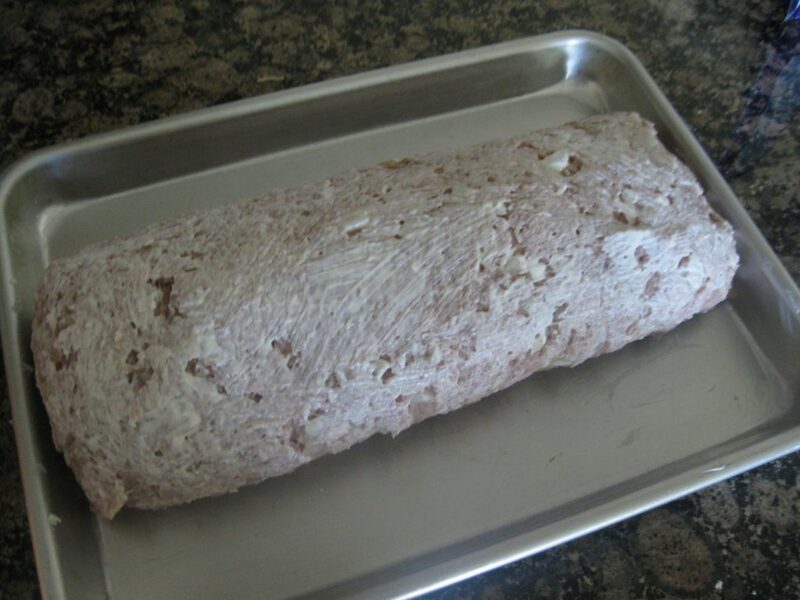 Carefully roll it onto the greased baking sheet. 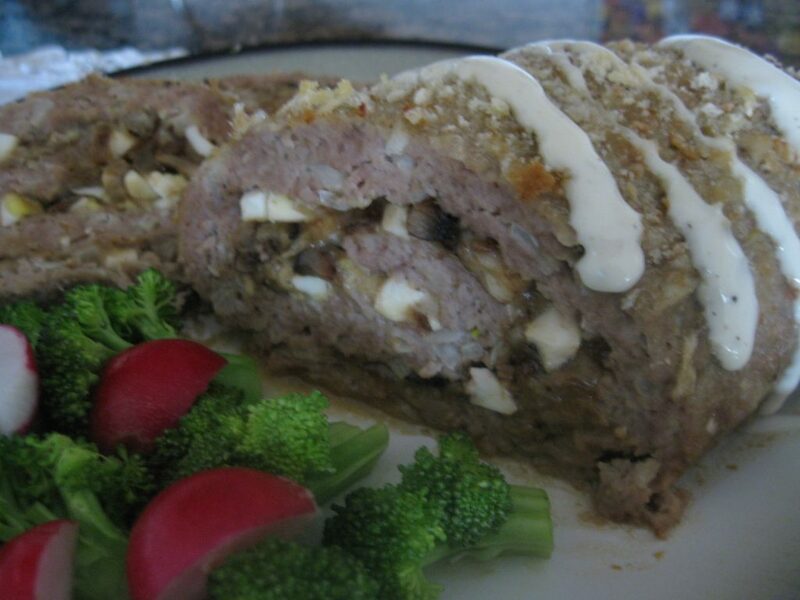 Brash the top of meatloaf it with the mayonnaise. 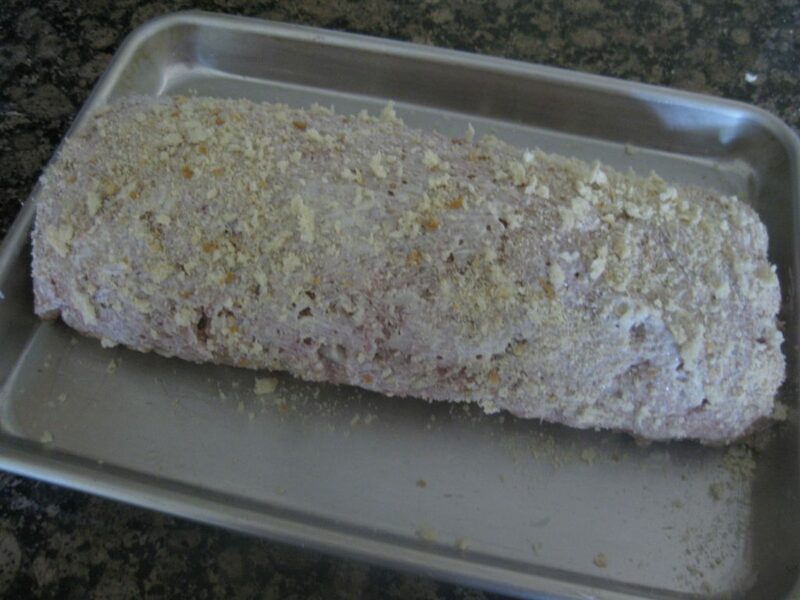 Sprinkle with some bread crumbs on top and cook in the oven at 350F for about 1 hour 15 minutes. 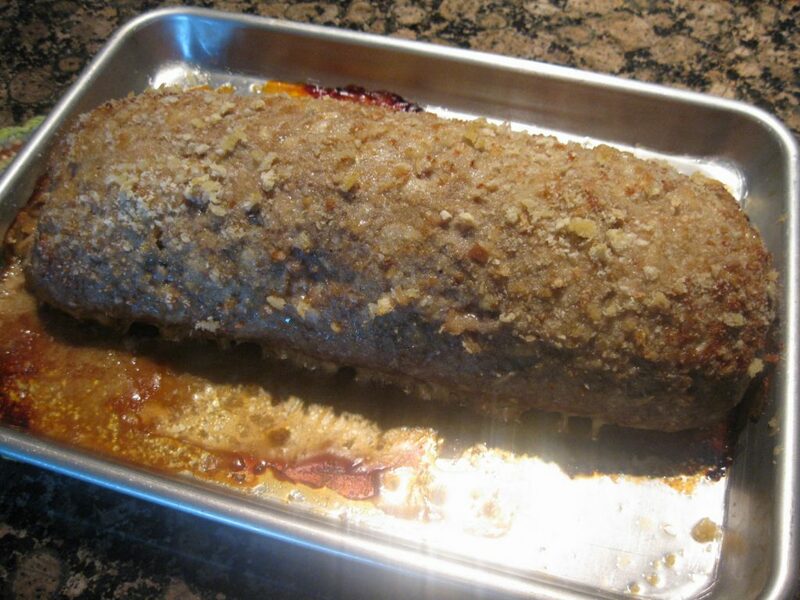 Slice the meatloaf and serve it with fresh salad, or roasted vegetables.